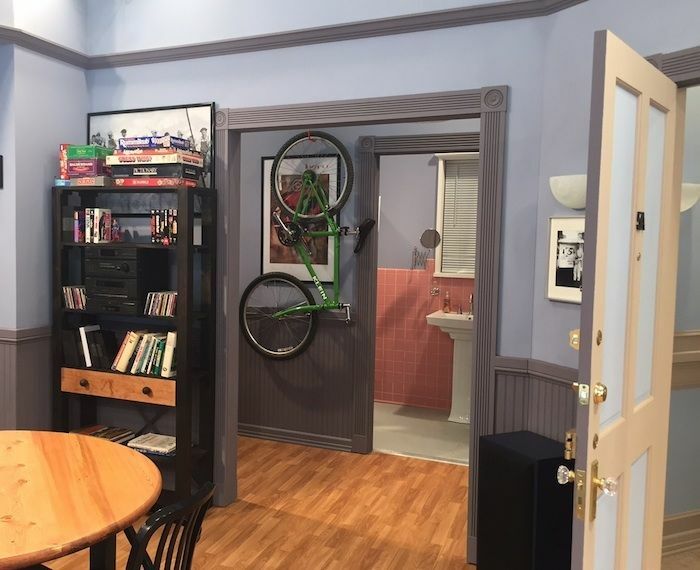 Once you get past the fact that it's in the Meatpacking District and not the Upper West Side, the Seinfeld Apartment, an impressively faithful recreation of Jerry's flat in honor of the series' streaming on Hulu, is awesome. 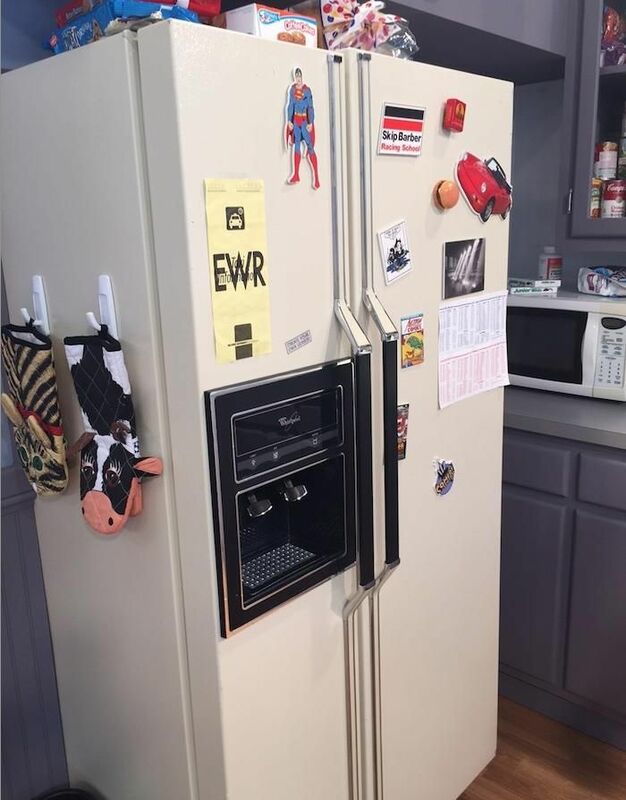 Inside the massive studio space on 14th St. you'll find two sections: the apartment and a memorabilia museum with such items as Jerry's Superman doll, Puddy's New Jersey Devils jersey, the couch where George shot his "boudoir photos," the infamous Pez dispenser and more. 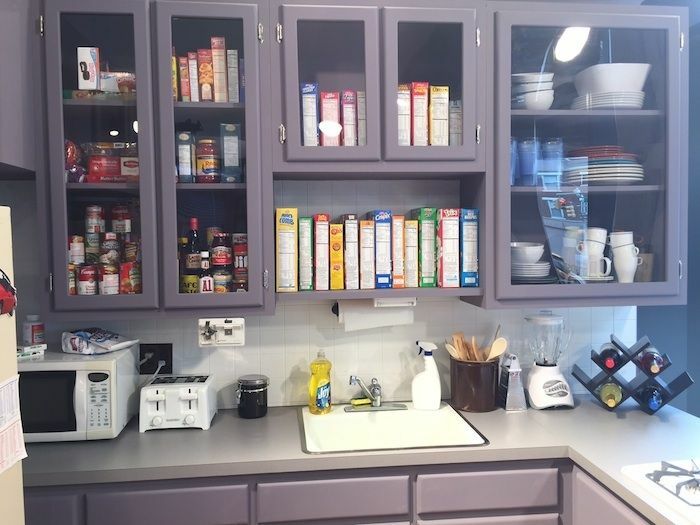 The apartment itself has got everything from Jerry's cereal collection to his Newark airport taxi information flyer on the fridge. You can also look through Kramer's "reverse peephole" (we won't spoil the surprise about what you see). 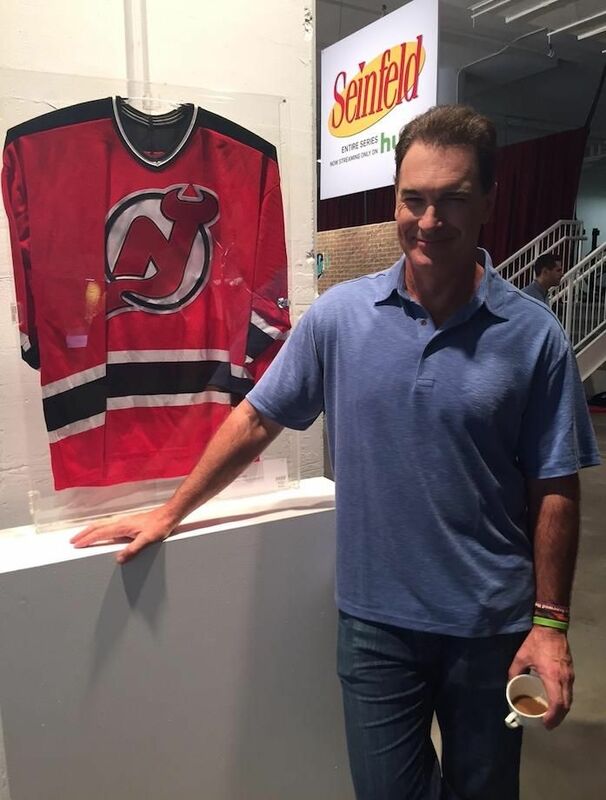 At a press preview today, two very special guests were in attendance: David Puddy himself (aka Patrick Warburton) and...the Soup Nazi (aka Larry Thomas)! "I had NO idea I was doing anything that anyone would remember for any reason," Thomas told us when asked about whether he had any inkling that his character would become so beloved. He went on to say that before he auditioned for the part, there was very little description of what the role would turn into. All the casting notice said was that "he's called the 'Soup Nazi'" and they wanted a Middle Eastern accent," Thomas told us. "So I put together the Middle Eastern accent from Omar Sharif in Lawrence of Arabia and then had to think of the idea of a 'Soup Nazi' being some very militant food vendor in New York, which is where I'm from so I know all about New York impatience... I went into the audition in an army uniform and a beret, which was actually my ex-wife's. She's an actress and it was actually her idea to put a beret on my head and make me look like Saddam Hussein." As for Warburton, he too put a unique spin on a role that initially had very little description. 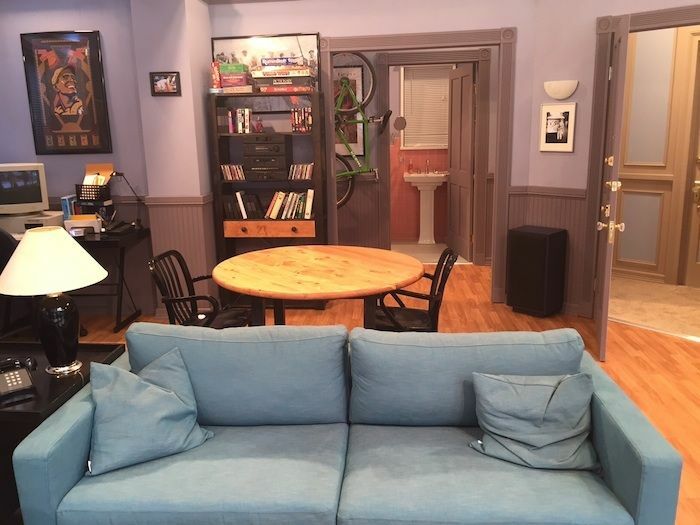 "Puddy was supposed to be this character who was Jerry's mechanic and would be in one episode -- he stole Jerry's [sexual] move and used it on Elaine. He was just a means to an end [to advance the plot]. I remember going into the audition and a lot of the guys were more 'New York guys' like 'Tonys' or 'Vinnys' but that's not me. I'm a kid from Huntington Beach, CA so I had to go with a different angle." He continued, "So when there were lines like, 'Yeah, that's right,' I just decided to go, 'Yeah. That's right.' There's something missing. He's communicating but almost like a robot. There's a screw loose with that guy. That was the direction I went in and it seemed to appeal to Jerry [Seinfeld] and Larry [David], which I was very thankful that it did. Then they got inspired for further episodes. 'Let's take this dimwit and do some other things with him.'" Both actors mentioned that they still frequently get recognized for their famous roles. "I get recognized more often in-between LA and New York," Thomas said. 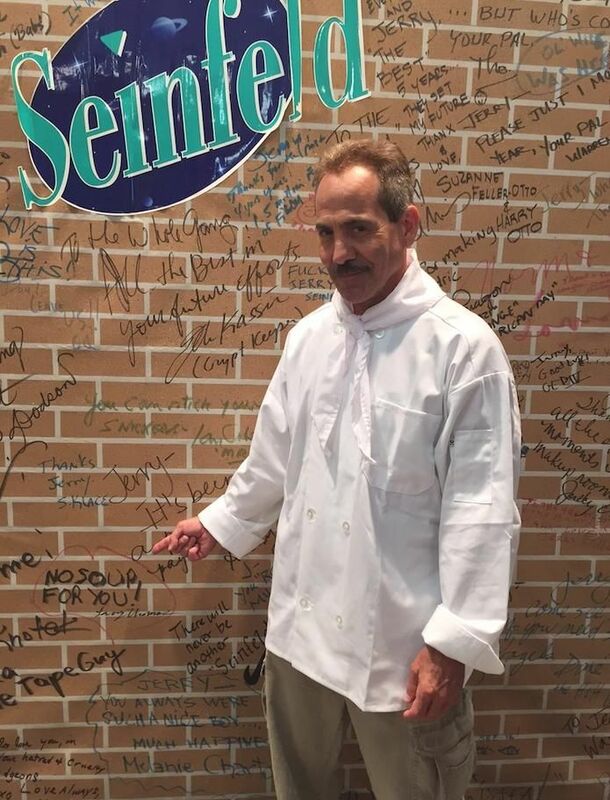 "On the coasts, people know I'm an actor but the closer you get to the middle of the country, it's like 'Oh my god, it's the Soup Nazi!' as if I walked right out of the TV." And even though it's immediately apparent just how different each actor is from his character -- and a testament to each man's theatrical skill -- there are some similarities that each share with his role. For Warburton, an episode that hit close to home was "The Burning," in which Elaine discovers that Puddy's a religious Christian who thinks she's going to hell. "That was something I could sort of relate to," he told us. "My parents are crazy religious people...My mother wanted me to convert Jerry. She actually was at my house one day and had a videotape and told me, 'I have a videotape that's converted a lot of my Jewish friends. If you're going to work with them, I'd love you to give the tape to Jerry.' She's crazy. I love my momma but she's crazy." The apartment officially opens tomorrow but it's unlikely Puddy and the Soup Nazi will still be chilling inside -- not that there's anything wrong with that. 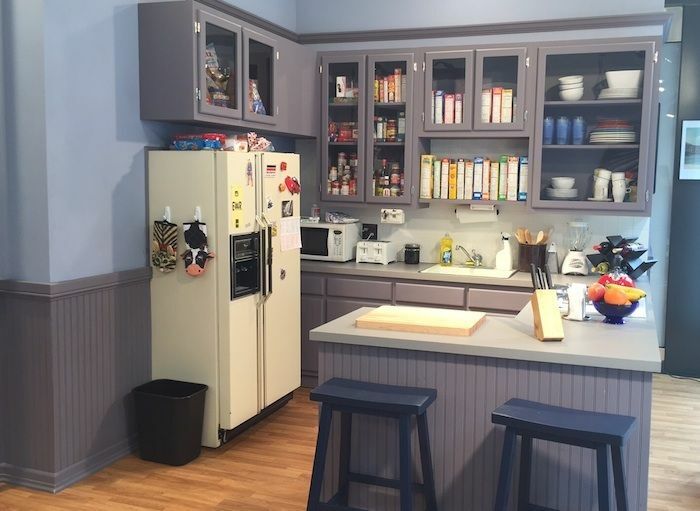 Hulu Presents Seinfeld: The Apartment Fan Experience is located at 451 W. 14th St and will be open from 11am-7pm from Wednesday, June 24 through Sunday, June 28th. Seinfeld begins streaming on Hulu tomorrow.